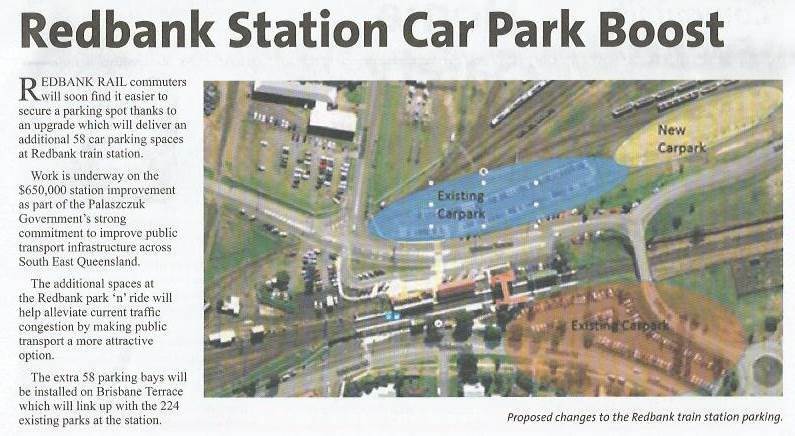 I hate to be cynical, but 58 extra carpark spaces are going to relieve congestion on the Ipswich Motorway..? Why does every transport project have to benefit drivers in order to get a positive wrap (even if the benefit is so small as to be barely noticeable)? If a transport project is worthy, but doesn't do didily for drivers (which this really doesn't), why can't it be celebrated for what it is, a worthy investment in train traveler's quality of travel? Paging the people that like to go on about carparks costing $30K a space - these ones are 'only' $11K. The joint out here is going car crazy as Redbank Plains etc. expand madly. Kneejerk stuff to gain some points. Redbank station has reasonable bus services, albeit at the low frequency common out West. The point is that the Enoggera Reservoir carpark expansion, which we quote in MRs (albeit mostly for shock value) is really not representative. No, it is a ball park based on Enoggera and others. Most recent park and ride is in the order 30-50K per space. Also it is generally cheaper to add to an existing park and ride (eg. Redbank) rather than create a new one. Access roads etc. exist. I think you are quite right to be cynical. In itself 58 is probably not going to cause much passenger change, probably only change station of boarding to a very minor degree. Goodna is usually parked out on the main car park (river side of the line), the other car park pub side is usually only about 2/3 full (this car park is not that obvious to many, sort of hidden). Dinmore runs close to being full. Gailes is just a lot of verge parking, no official parking but up to a few hundred cars there daily. 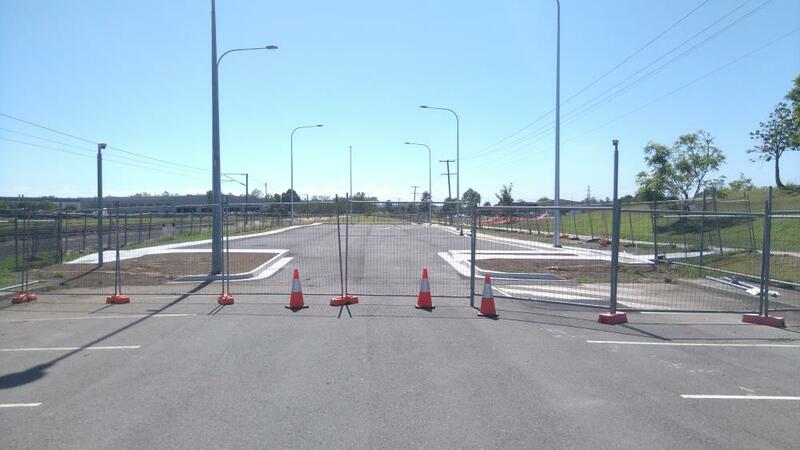 Wacol is usually parked out on the official car parks and then variable verge car parking. If I have a list of costs, number of car parks and dates, I can make a plot that shows where the values cluster around. Around 50k is representative. I wonder how much a P&R at Broadbeach South, as some Gold Coast residents have been demanding, would cost per space? More importantly, where could you put it? "Southport Councillor Dawn Crichlow and Surfers Paradise Councillor Lex Bell said crown land at the end of the Smith Street Motorway could be used for a large park and ride." ""The best option would be to turn the old Gold Coast Hospital site into a multi-level park-and-ride," Cr Crichlow said." Of course, people at the GCUH end can already park and ride there (paying for their parking at a commerical rate). I mean honestly, they might as well suggest large P&Rs at Bowen Hills or Park Rd; it would effectively be about the same in planning terms. One of the things that worries me about the Helensvale extension is that it will lead for more calls to turn Helensvale station into a massive P&R, and I imagine the local Westfield shopping centre will be taking action against commuters somehow, too. There already is quite a sizeable P&R at Helensvale to start with (which isn't full at the best of times), and then you have the shopping centre too. And there will be the new additional light rail P&R as well, which might take some of the strain off Helensvale's P&R (people park there, take tram to Helensvale and then train to Brisbane).